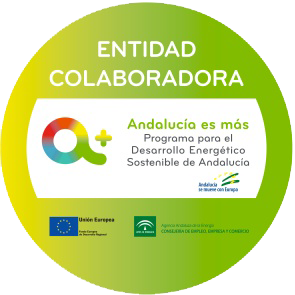 Gestión y Productividad Energética S.L. (henceforth, GEYPE), domiciled at Alberche 4C 1º, Seville, Spain, with CIF B-41117862, places certain content of an informational nature about its activities on its website geype.com. The present general conditions regulate the use of the website of GEYPE by the USERS who access the same, solely and exclusively. The present general conditions are displayed to the USER on the website geype.com on each and every one of its pages, and every time that a USER attempts to enter their data into the forms provided, so they can be read, printed, archived and accepted by internet, the USER being unable to enter their data without this acceptance having taken place. Accessing the website of GEYPE implies acceptance, without reservations, of the present general conditions of use, which the USER affirms they have understood completely. The USER undertakes not to use the website and the services offered there to perform any activities in breach of the law, and to respect the present general conditions at all times. ONE. CONDITIONS OF ACCESS AND USE. 1.1.1.- Carrying out actions which could cause, on the website or using the same, by any means, any kind of damage to the systems of GEYPE or of third parties. 1.2.- GEYPE may interrupt access at any moment to its website should it detect any use contrary to the law, good faith or the present general conditions- See clause five. 2.1.- GEYPE, using internal and external sources, in such a way that GEYPE only accepts responsibility for the content prepared internally. 2.2.- GEYPE reserves the right to modify the content on its website at any moment. GEYPE uses external sources in the preparation of the content on certain occasions and also establishes hyperlinks to articles or information from third parties, always citing the source. The legitimate owner of the copyright to that information so included may request the elimination of the cited references at any moment. FOUR.- JURISDICTION AND LAW APPLICABLE. The present general conditions are governed by the law of Spain. Competence to resolve any controversy or conflict arising out of the present general conditions shall lie with the Courts of Seville, the USER expressly waiving any other jurisdiction to which they may be subject. Should any clause of the present document be declared null and void, the remaining clauses shall remain valid and shall be interpreted taking into account the intention of the parties and the purpose of the present conditions. GEYPE might not exercise some of the rights or faculties conferred in this document, but this shall in no case constitute a waiver of the same unless this is expressly acknowledged by GEYPE.